Ron Staller was a happy man. The retired teacher had, shortly before the 9-11 terrorist attacks, become the editor and publisher of the “Beachcomber,” a community paper in New York City’s borough of Queens. Now, two months later, Staller was on his way to work when his quiet life literally crashed on his head in the guise of American Airlines Flight 587. While state and federal officials were quick to say that the deadly crash was an accident caused by the erratic flying skills of the first officer, dozens of locals eyewitnesses, many of them police officers and firefighters, thought differently. Staller, working with local police detectives, is driven to believe that there was more to the crash than what was reported by the NTSB and other federal agencies. Working hard on the evidence and thwarted by federal agencies, the detectives, joined by a suspicious NTSB investigator, Staller’s police sergeant son and a Muslim Newsday reporter, begin to see the truth. Will the government, however, allow that truth to be told. 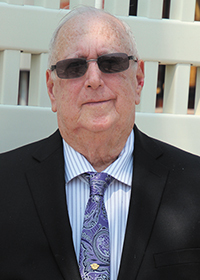 Schwach, a retired teacher, had already authored several young adult educational books, when he became the managing editor of the local community newspaper. He turned on his police scanner on the morning of November 12, 2001 and heard the first news that a large commercial aircraft had crashed four blocks from his home. 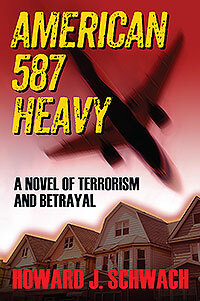 The tragic crash of American Airlines Flight 587 became the genesis of this novel. Did the first officer cause the crash by overflying the rudder? Did a design defect cause the tail to fall off over Jamaica Bay? Was terrorism involved? Read and decide for yourself!